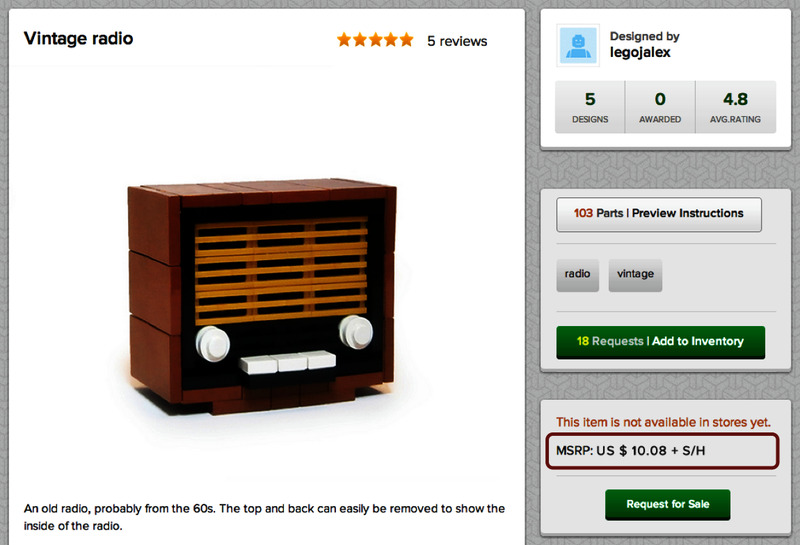 We're replacing the current estimated price of MOC items with MSRP - Manufacturer's Suggested Retail Price. The MSRP will be shown to buyers when MOC items are first introduced and not available from any store. 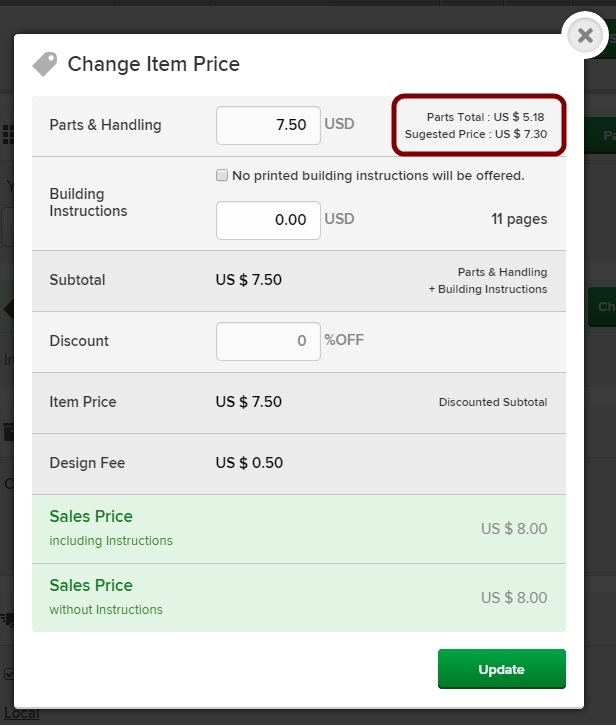 Previously, the estimated price was calculated by mere addition of the price of parts plus design fee, but most sellers are unable to match the estimated price, especially when they have to buy missing parts from BrickLink, Now, MSRP will be calculated based on a more practical cost analysis so that participating sellers can make a more meaningful profit by selling items at the matching price. We have listened to feedback of MOC designers and learned that current maximum design fee is not enough to motivate professional designers. Per their request, we decided to increase the maximum design fee to $10.00 per sale. It's 10 times more than current maximum fee per unit, but it does not necessarily mean that all designers will eventually raise designe fees. We believe this new policy will encourage more LEGO builders to submit their MOCs, attract more buyers, and help sustain the ecosystem of MOC Shop.